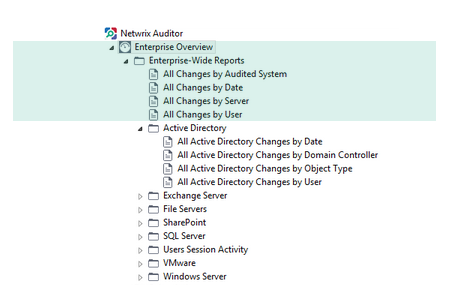 Enterprise Overview Dashboards: Netwrix Auditor provides complete visibility into what is happening in your IT infrastructure, and allows to drill down to details on every change across all audited systems. 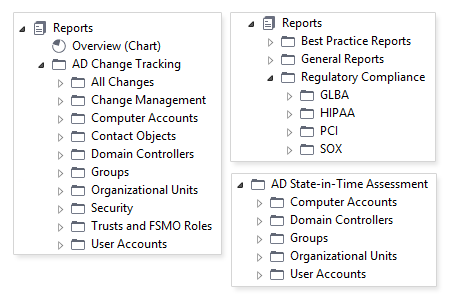 Comprehensive SharePoint Auditing: Netwrix Auditor further extends the range of audited systems, providing the broadest coverage on the market. 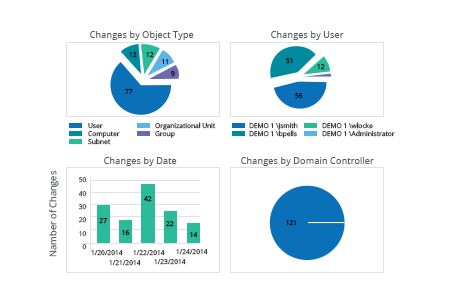 Over 25 enhancements to improve scalability, performance and usability. 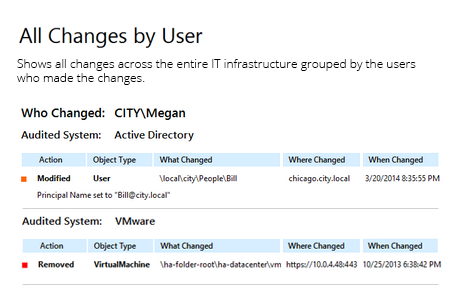 Delivers complete visibility into what is happening across the entire IT infrastructure. 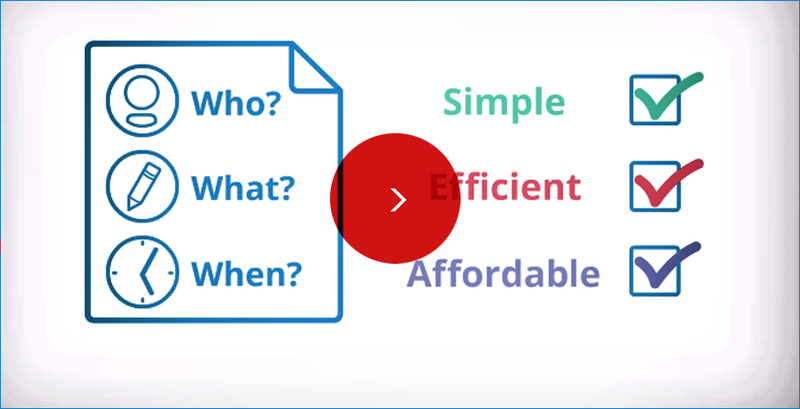 Ensures continuous compliance for PCI, HIPAA, SOX, FISMA and others by quickly accessing required reports from central storage holding data for 10 years or more. 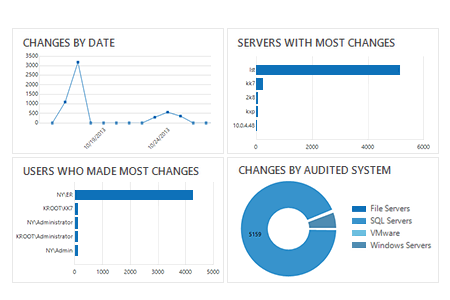 Enables detection and investigation of security incidents via analysis of unauthorized or malicious changes to system configurations. 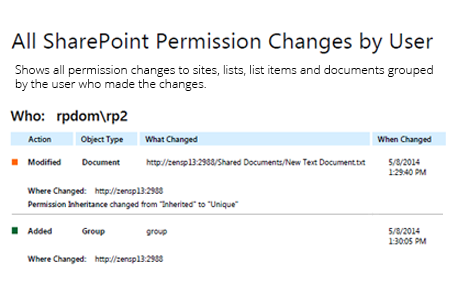 Helps detect and prevent breaches of sensitive information by auditing changes to user content and permissions. 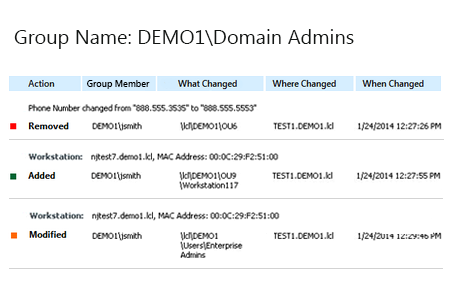 Simplifies root cause analysis via instant troubleshooting and repair of broken system configurations. 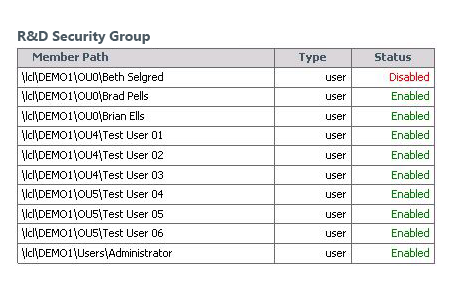 Helps overcome limitations of native auditing and enhance SIEM by filling gaps and eliminating noise in audit data using AuditAssurance™ technology. 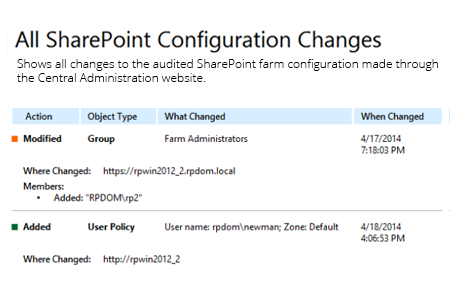 SharePoint auditing provides visibility into farm configuration, user content and security changes, including modifications of permissions and permission inheritance, SharePoint group membership and security policies. 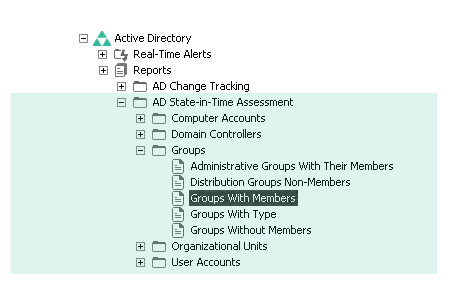 State-in-Time auditing shows configuration settings at any point in time, such as group membership or password policy settings as they were configured a year ago. 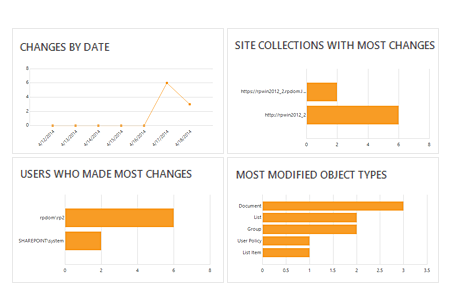 More than 200 predefined reports are included, enough to pass most audits and ensure continuous compliance for PCI, HIPAA, SOX, FISMA and others. Thank you for downloading the free trial! Your download will begin in a moment. 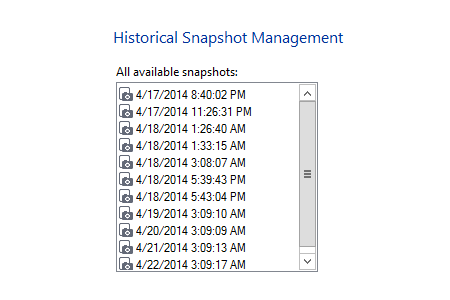 If it doesn't, please restart the download. 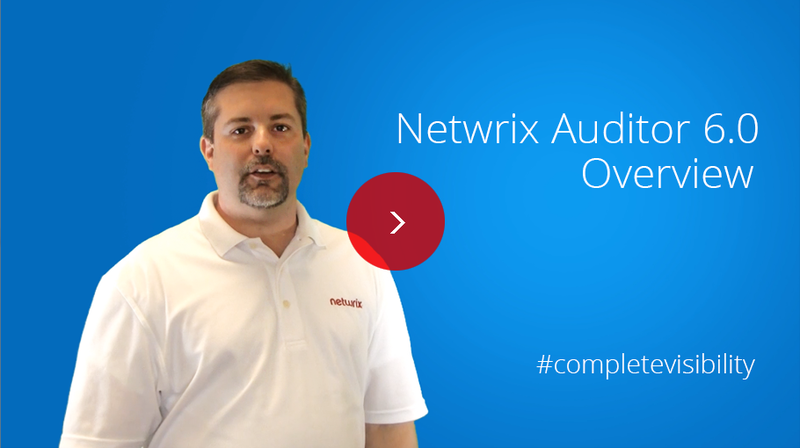 Meanwhile you can watch a 2-minute explainer video of Netwrix Auditor, an affordable change and configuration auditing platform for compliance, security and operations across the entire IT infrastructure. Thank you for requesting the one-to-one demo!